We hold expertise in manufacturing and exporting of best quality Concrete block making machines. Further, these machines are fabricated using high standard materials, procured from the reliable sources. Moreover, these are having robust construction, high tensile strength and high durability making these machines highly preferred by clients. Additionally, these machines are easy to operate and require less maintenance. We offer these machines at leading market prices. 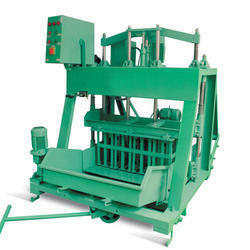 Looking for Concrete Block Making Machines ?